Proving that every second does really count on the road to the Games. "Every Second Counts" was never more true than at this year's Central & South American Regional Qualifier. The organizers of this event check in with the following report. A first day recap plus the events announced for day 2. A region of dark horses. CrossFit arrives with authority in Latin America. 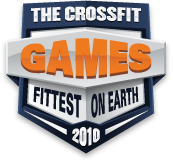 Dealing with CrossFit at altitude as well as athlete info.